I just love craft time with my kids. It is a great way to foster creativity and support my children’s imaginations, and also a fun way to spend time together. I especially love this time of the year, because there are so many exciting holiday crafts we can do together. But what I do not love is cleaning up. My kids really know how to make a mess. And getting them to clean it up? Pretty much impossible. 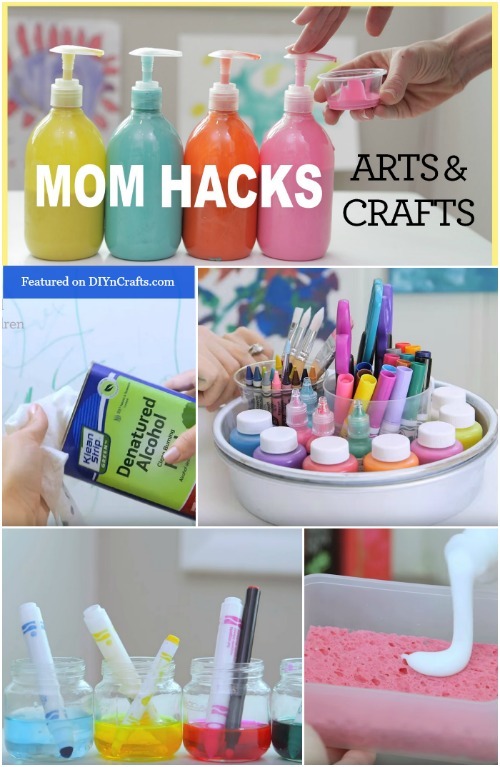 Seriously, just one of these great tips can totally revolutionize craft time with your kids. All of these tips fit together? Genius! So check out the video, and enjoy cleaner, more organized craft time with the kids this holiday season! Wow I’m definitely sharing this and pinning it for myself!